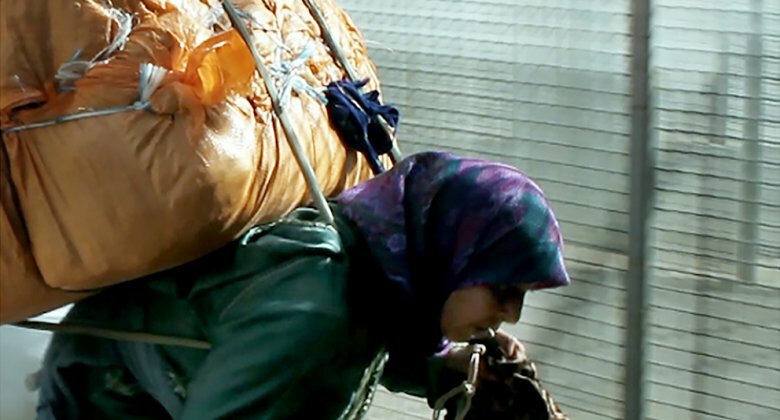 A day in the life of the porters from Melilla, a city by the Southernmost border of Spain. They wait endlessly, exposed to all weather conditions, with no basic hygiene, nor healthcare and security standards. They are subjected to harassment, insults, abuse, humiliation and even sexual aggressions from security forces on both sides of the border. They are educated or illiterate women, young and old, married and not married, widowed, or outcasts.